Helping People Work. Helping People Live. Since 1993, Back in Motion Rehab Inc. (Back in Motion) has been dedicated to helping people overcome barriers and reach their full employment potential. Why work in Back in Motion? 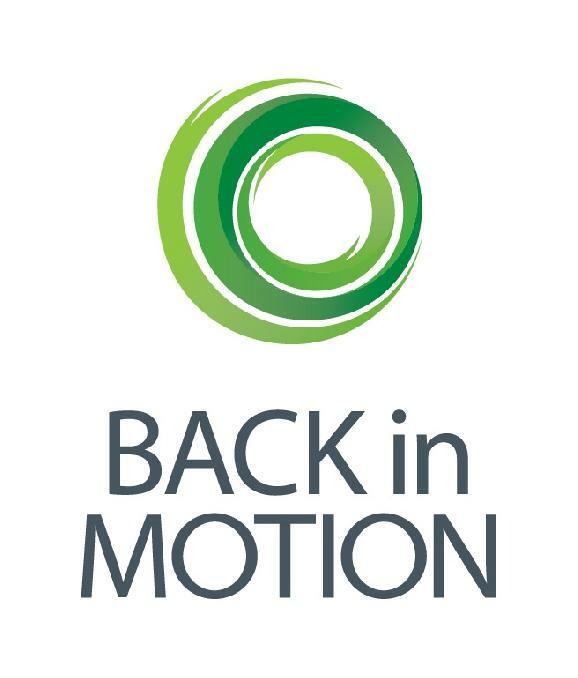 Back in Motion has received recognition as an Employee Recommended Workplace in 2018, an excellent workplace (one of Canada's Best Small and Medium Employers, Aon Hewitt, 2015 and 2016; AMSSA's Safe Harbour Champion 2016; Richmond News Profile of Excellence 2013; Psychologically Healthy Workplace Award 2009; Great Place to Work Institute Canada 2006-2008, including being named the #1 workplace in Canada in 2007). We are a growth-oriented company, and offer flexible working conditions, continuing education, and an environment for staff members to grow and develop. We are looking for Psychologists to join our highly skilled and fast growing team of over 20 Psychologists, Consultants, and Clinical Counsellors. Back in Motion is a dynamic team environment with other clinical disciplines and employment professionals. The positions may involve exclusively treatment or assessment work, or a combination of both, depending on interest and skill. InFocus Psychological Services: The Psychologist will provide psychological treatment to adults with a range of presenting problems. The Psychologist will conduct treatment-oriented assessments, develop and implement individual treatment plans, write reports, and liaise with stakeholders. Treatment is evidence-based, and goals include assisting clients to return to work, enhancing psychosocial functioning, and improving quality of life. Back in Motion is a multidisciplinary clinical setting, and there will be opportunities to laborate with other members of the rehabilitation team, including Physical Therapists, Occupational Therapists, Kinesiologists, and Physicians. Occupational Trauma Program: The Psychologist will provide psychological treatment to adults with Posttraumatic Stress Disorder (PTSD) and other trauma-related disorders. The Psychologist must be trained in and have experience with evidence-based treatment for PTSD, such as exposure-based CBT modalities and/or EMDR. The Psychologist will conduct treatment-oriented assessments, develop and implement individual return to work treatment plans, write reports, and liaise with stakeholders. The Psychologist will lead a multidisciplinary team that includes Occupational Therapists, Clinical Counsellors, and Kinesiologists. COMPASS Comprehensive Assessment Services: The Psychologist will be responsible for conducting a variety of psychological assessments, including Vocational Psychological Assessments, to adults with a range of physical, mental health, and cognitive disabilities. In this role, the Psychologist will conduct clinical interviews, administer and interpret psychological instruments, write comprehensive reports, and participate in feedback sessions with clients and employment professionals. We are looking for Psychologists who have excellent clinical and interpersonal skills, passion to help clients with a variety of work-related challenges, and ability to prioritize with a focus on customer service. Applicants must be registered or eligible for registration with the College of Psychologists of British Columbia. Good organizational and writing skills are essential, and experience working with third-party payers and an understanding rehabilitation and disability issues are an asset. We offer competitive contract rates or salary and benefits package to the successful individual in addition to a signing bonus. We offer relocation assistance to those interested in moving to beautiful British Columbia. LEARN WHY YOU SHOULD COME TO LIVE & WORK IN B.C. British Columbia (B.C.) is one of the most appealing places to settle within Canada, which is among the leading democracies of the world. In addition to its abundance of natural beauty, there are many reasons that make B.C. a very desirable destination to work, study, and live. High Standard of Living: The United Nations Human Development Index consistently ranks Canada as one of the world's best countries to live in. Excellent Health Care: B.C. has an affordable and reliable health care system. Once enrolled in B.C. 's Medical Services Plan (MSP), your monthly premiums will provide you and your family with basic medical care and most hospital visits. Wages and benefits: People in B.C. earn competitive wages and enjoy a high standard of living. Many employers in B.C. offer their workers extended benefit plans, including full medical and dental coverage s. Your income will depend on your education, experience and occupation. Diverse Culture: People from many cultures call B.C. their home, creating a diverse and vibrant society that welcomes students, visitors and new British Columbians from other parts of Canada and all over the world.